This four part spinner geocoin has the Mayan Calendar on the front side and the Haab and the Tzolkinon on the back. 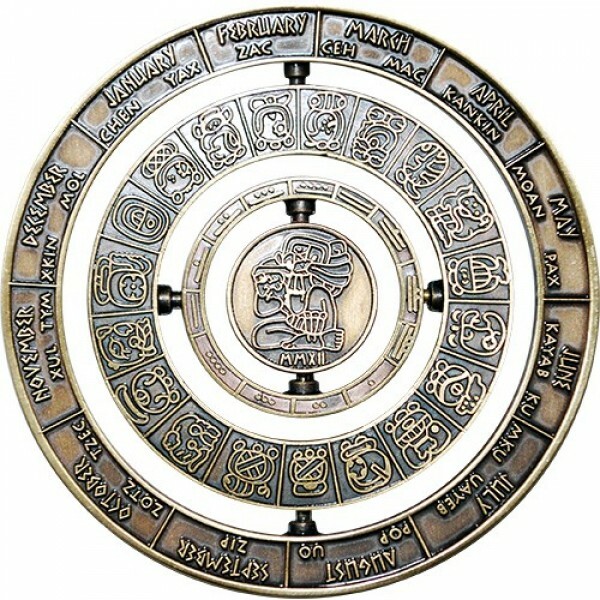 The Mayan calendar completes its current “Great Cycle” of the Long Count on the 13th Baktun, on 13.0.0.0.0. Using the most common conversion to our modern calendar, the end of the “Great Cycle” corresponds to 11:11 Universal Time (UTC), December 21, 2012, hence the myriad of doomsday prophecies surrounding this date. The divine calendar is also known as the Sacred Round “Tzolkin” which means “the distribution of the days”. It is a 260-day calendar, with 20 periods of 13 days used to determine the time of religious and ceremonial events. Each day is numbered from one to thirteen, and then repeated. The day is also given a name (glyph) from a sequence of 20 day names. The calendar repeats itself after each cycle. The Mayan Calendar has three corresponding calendars. Time is cyclical in the calendars and a set number of days must occur before a new cycle can begin. The three calendars are used simultaneously. 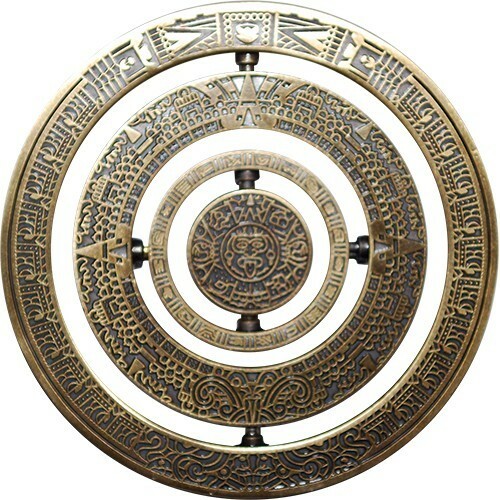 The Tzolkin and the Haab identify and name the days, but not the years.